In layman’s terms, Sepsis is a life threatening condition that arises when the body’s response to an infection injures its own tissues and organs. In essence, it is an overreaction of your body’s immune system to an infection and will make the patient feel extremely unwell. Characterised by life-threatening organ dysfunction due to a dysregulated host response to infection. Subset of sepsis where particularly profound circulatory, cellular and metabolic abnormalities increase mortality. 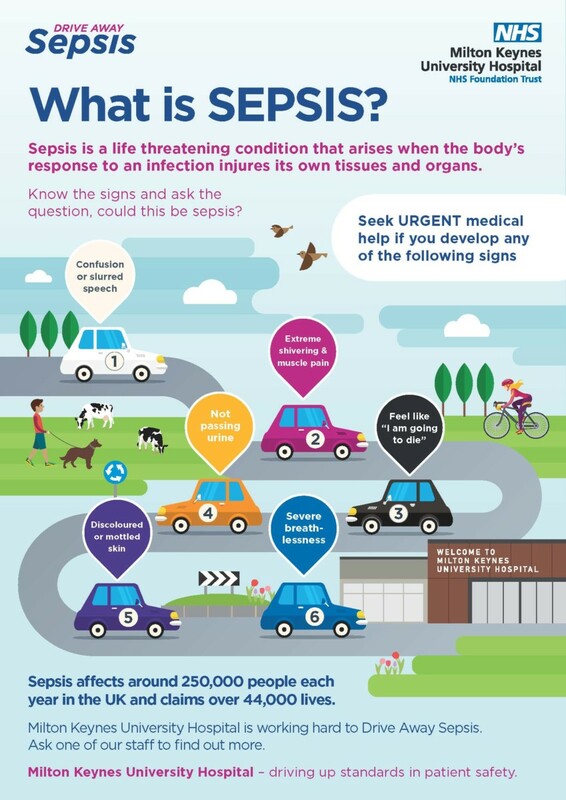 However, you could develop sepsis as a result of having something minor such as a paper cut or splinter so watch for the signs of infection – Anyone can develop Sepsis.